This June we are thrilled to produce “Bees,” a short piece by local writer Betsy Miller. 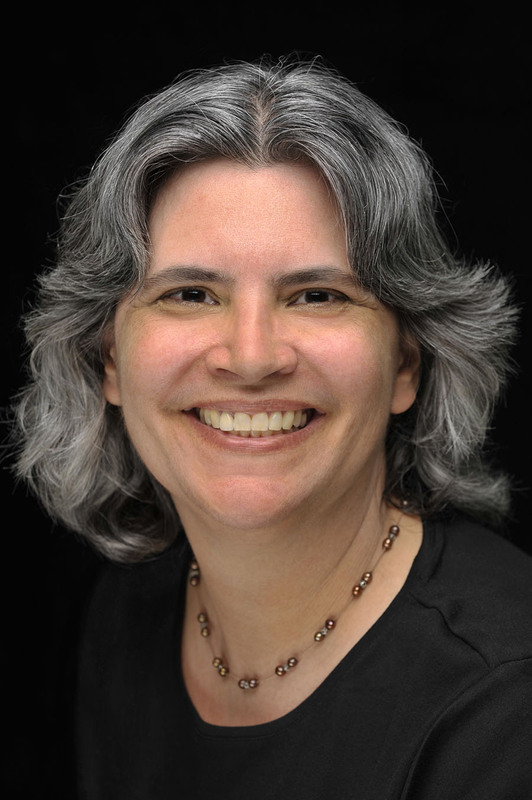 Betsy writes fiction that spans several genres including magical realism, literary, and speculative. Her stories have appeared in magazines and anthologies. Miller is a technical writer who also writes non-fiction books. She is the author of The Parents’ Guide to Perthes, The Parents’ Guide to Clubfoot, and The Parents’ Guide to Hip Dysplasia. “Bees” was previously published in Obsession Literary Journal. If you’d like to read more of Betsy’s fiction, you can find “The Now” in the Doorways to Extra Time anthology and “Mixology” in Year’s End: 14 Tales of Holiday Horror. Betsy sometimes reads her fiction at Flash Fiction Forum events. I was at a Flash Fiction Forum event when Julia announced the call for submissions for Play On Words. Play On Words is a cool idea, so I decided to submit a story. I thought “Bees” might be a good fit because it would not need a large cast or require a lot of props. I’m happy my story was selected and excited to see it performed. I get inspired all the time by the interesting and wonderful things that people come up with. I was at the Cupertino Library the other day. On the used books sale shelf in the lobby, I came across a children’s book called The Skull of Truth. I bought it on impulse (yes, I still read children’s books for entertainment, don’t judge me). This book turned out to be a magical adventure about a sixth grade boy who grapples with the many facets of truth—absolute truth, metaphorical truth (fiction that reveals a deep truth), and perceived truth. But it also works as an adventure story. That’s a book that transcends its genre. I would love to write fiction that strong. Since my story “Bees” is written from the perspective of an adolescent, I’ll mention the book A Wrinkle in Time by Madeleine L’Engle. I discovered this book when I was 13 or 14, which would have been in the mid 1970’s. Meg, the 14-year-old main character in A Wrinkle in Time, seemed like she could be a real girl. And she was in a science fiction book—a really good science fiction book! And she was smart, but awkward, and her family felt like a viable family, and—well, let’s just say I had read a lot of science fiction and fantasy, but this was the first book I found in that genre that was written from the point of view of a teenage girl. I’m still fond of that book. Want to learn more about Betsy? Learn more about her press at betsy@thinkingpress.com, or find her on Twitter and Facebook. And now for the fun part: we get to introduce the writers for our spring show! First up is Renée Schell, who submitted the fabulous “Suburban Fantasy” for our June 3 show at Cafe Stritch. This show marks our Stritch debut–and is also made possible through the generosity of The John S. and James L. Knight Foundation, in partnership with the San Jose Downtown Association. Renée grew up in Vermont but has called California home for more than twenty years. She writes primarily poetry but also delves into short fiction. She plays classical piano and her experiences with music have provided the catalyst for many of her poems. Favorite places on earth (explored with her husband and three children) include Alaska and Scotland. Renée earned a Magister Degree from the University of Bonn and a Ph.D. in German Studies from Stanford University. For two years she was part of the editorial board for Red Wheelbarrow, the literary journal published by De Anza College. For many years Renée taught German and worked as a translator. She currently enjoys being a private tutor and teaching Art in Action to her son’s second grade class. Publications include poems in On the Dark Path: An Anthology of Fairy Tale Poetry, Catamaran Literary Reader, Perfume River Poetry Review, Caesura, and other journals. Her work also appears online at literarymama.com, Cha: An Asian Literary Journal, and MonkeyBicycle. Most recently, a speculative poem appears in the current edition of Eye to the Telescope and two sonnets are forthcoming in Mezzo Cammin. 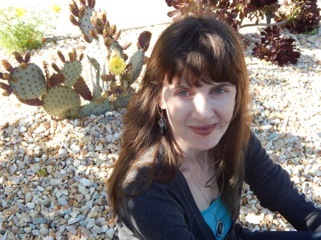 She has been a regular contributor to Flash Fiction Forum in downtown San Jose. Renée’s poem “Beyond Vienna” won Third Prize in the 2014 String Poet competition. Her chapbook manuscript Overtones won Second Place in the 2014 Palettes & Quills Chapbook Contest. Recently, her poem “Accidental Bird-Watcher” won First Place in the 2015 Los Gatos Poet Laureate Poetry Contest. Renée is the lead editor on the anthology (After)life: Poems and Stories of the Dead, published this month by Purple Passion Press, founded by Victoria M. Johnson. Our local launch is Wednesday April 22 at 6 pm at the Village Bookstore in Los Gatos. Wider release of the book will be at a later date. It’s always inspiring to me to see live performance, whether it be music, drama, dance, or a poetry reading. Play on Words seems unique to me in its pairing of actors with short works of fiction. And since I’ve rarely heard anyone else besides myself read my work in public, I’m curious to hear what a trained actor might do differently, what that person might bring out in the work that I might not have known was there myself. The writers who inspire me the most are my fellow poets who read regularly at the open mic on Third Thursdays at the Willow Glen branch library. The quality of the poetry is high and the atmosphere is enthusiastic and engaged. I always come away with a creative boost, with one or two favorite poems from the evening persisting in my mind. This month I recited a poem by John Keats, memorized, which only a few months ago would have struck fear in my heart (no paper in my hand!) but these poets have become like family to me and I knew that, even if I messed up, it would be OK. Now that’s inspiring. A performer who has affected me more than once is a woman who performs lyrical dance on the sidewalks of San Jose. Her expressive dance lifts my spirits and reminds me of an important aspect of art— to bring joy. I have seen her dancing for passersby in front of the MLK library downtown and the midtown Safeway. Her name is Kilelah and last month I saw her setting up to dance in front of the Buddhist Temple in Japantown and had a great talk with her. Her gift of dance to anyone watching is both creative and inspiring—public art at its best. You guys, it’s happening: Play On Words’ spring show, on Wednesday, June 3, 7 pm sharp. That’s right. It only took six months of dedicated planning, calls for submissions and community collaboration, and we couldn’t be more excited for Play On Words: Take Flight. 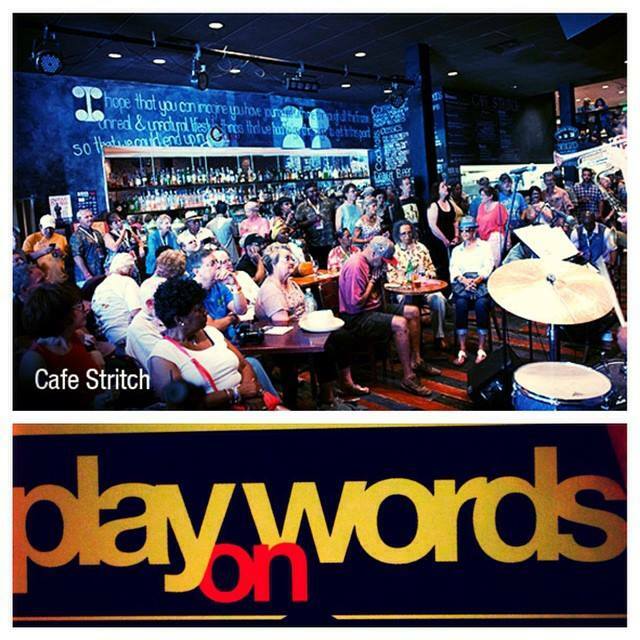 This show has a number of exciting “firsts” for us: this will be our first show at the stunning Cafe Stritch in San Jose’s vibrant downtown. This will be our longest show yet; thanks to the generosity of our sponsors and the demands of our audience, as well as the high quality of our submissions, we were able to accept more work–and we can’t wait to perform it for you! Don’t wait til June 3 to check out this hot spot. Stritch hosts a lively entertainment schedule Wednesday through Sunday, featuring live jazz, Wax Wednesday all vinyl DJ nights, and fellow thespians ShakesBEERience. Also, if you haven’t tried their chicken and waffles or specialty cocktails, you’re missing out. We couldn’t be more excited to partner with Stritch for our spring show. Stay tuned over the next few weeks, because we’ll be rolling out our exclusive lineup!